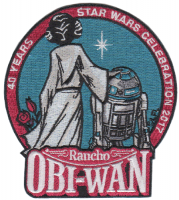 3-4pm ROW artist Eric Ehrlich will be signing very limited edition prints of the Rancho Obi-Wan Celebration patch and Member-Only patch one of which will be given to each person who signs up for a Rancho Obi-Wan Membership during this hour. While supplies last. 2:30-4pm Collector’s extraordinaire Gus Lopez and Duncan Jenkins will be signing their books: Gus & Duncan’s Guide to Prototypes, Gus & Duncan’s Guide to Star Wars Collectibles. 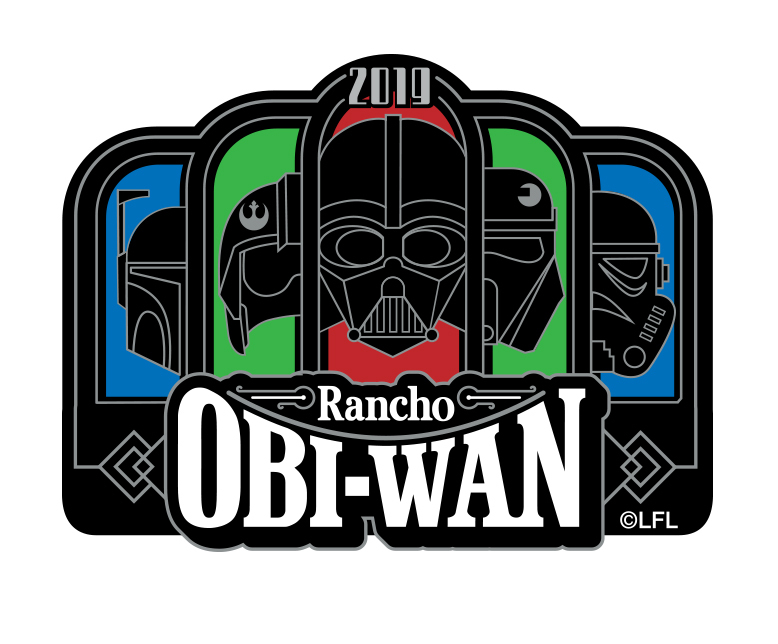 11am-1pm Dan Madsen, former Official Star Wars Fan Club President, founder of Star Wars Insider Magazine, Producer of the very first Celebration and Dams Denna from The Phantom Menace is making his first ever convention appearance to help celebrate 20 years of Celebration. Dan is bringing 8x10s and will sign those for $20. He will sign copies of Star Wars Insider magazine and take photos with fans free of charge. 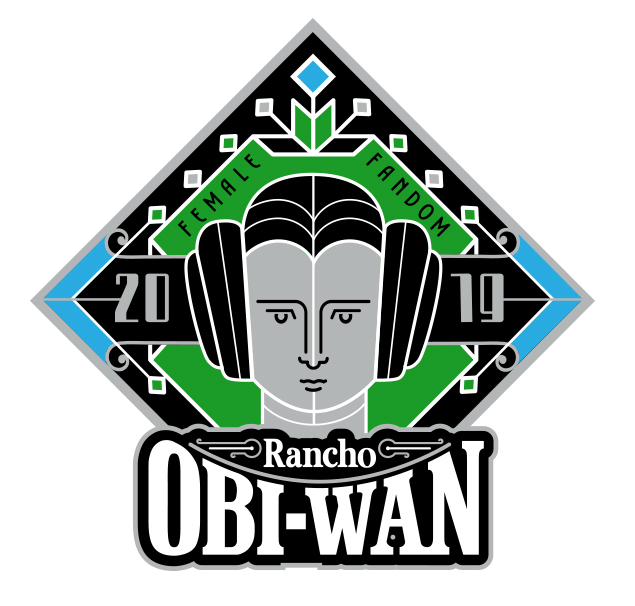 1-3pm Dan Madsen, former Official Star Wars Fan Club President, founder of Star Wars Insider Magazine, Producer of the very first Celebration and Dams Denna from The Phantom Menace is making his first ever convention appearance to help celebrate 20 years of Celebration. Dan is bringing 8x10s and will sign those for $20. He will sign copies of Star Wars Insider magazine and take photos with fans free of charge. 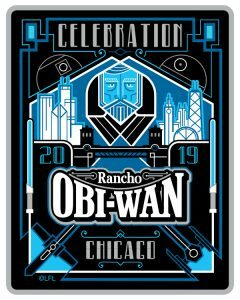 Rancho Obi-Wan will be at Star Wars Celebration Chicago, April 11-15, 2019, McCormick Place West, hall F1, booth #5516! The 1,200 square foot exhibit will feature three special displays–come see us! You will be greeted by a 20-year retrospective on Star Wars Celebration, the first of which was in Denver in May, 1999 and developed by our own Steve Sansweet. 12 conventions later, the expectations, activities and fandom itself has evolved and changed. Take a walk down memory lane or view these items for the first time. Next, what does it mean to be a female fan of the Saga? How has fem fan expression changed in the decades since 1977? Come see a fun selection of items and collectibles from then and now and learn what makes this subset of fans tick. Finally, it wouldn’t be an exhibit worthy of our Guinness World Record without a massive display of helmets from the collection here at Rancho Obi-Wan. From the very first licensed helmet by Don Post to high-end collectibles and detailed cosplay replicas, from fan-made to artform, this colorful display will have you mesmerized. 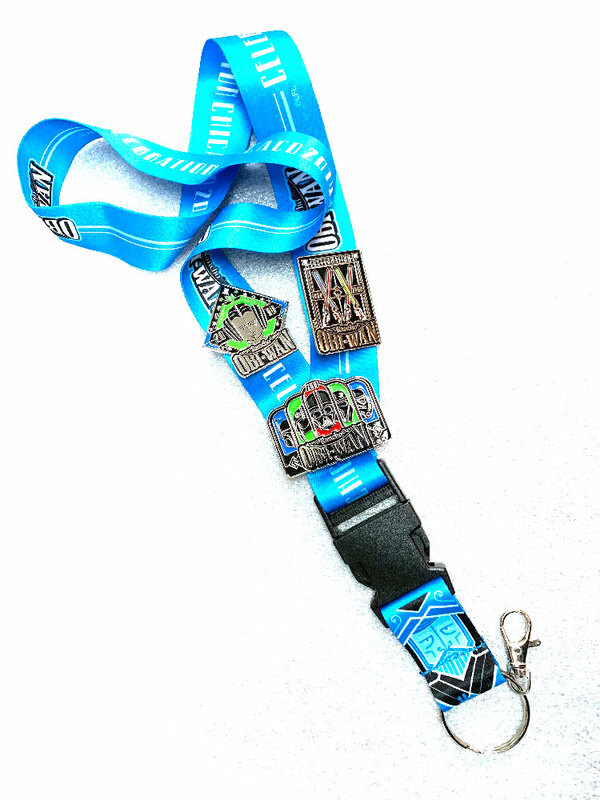 All current supporting Members of Rancho Obi-Wan will be emailed a “lightspeed pass” allowing them to bypass the queue into our exhibit at Celebration. Don’t wait in line! Become a Member today! We’ve revamped our merchandise for this convention and are offering a one-time, Spring-fundraising, online, pre-order that ends February 28th, 5pm PST. 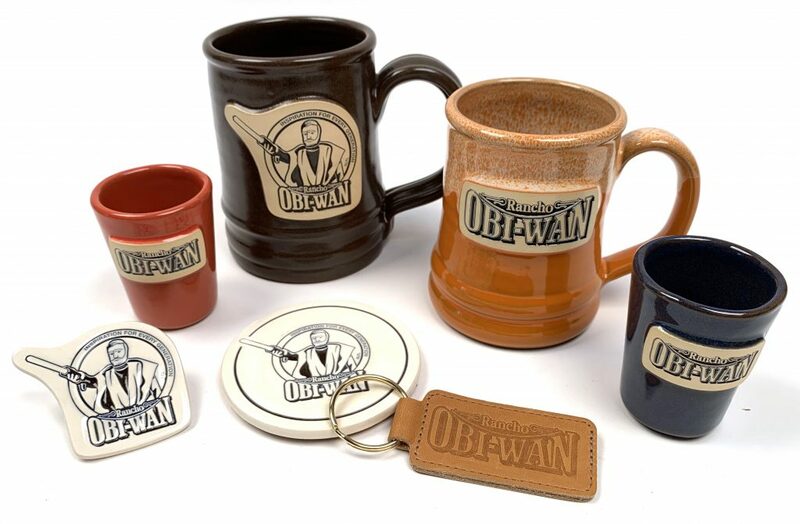 Items can be picked up at Celebration or they can be shipped to you in May. 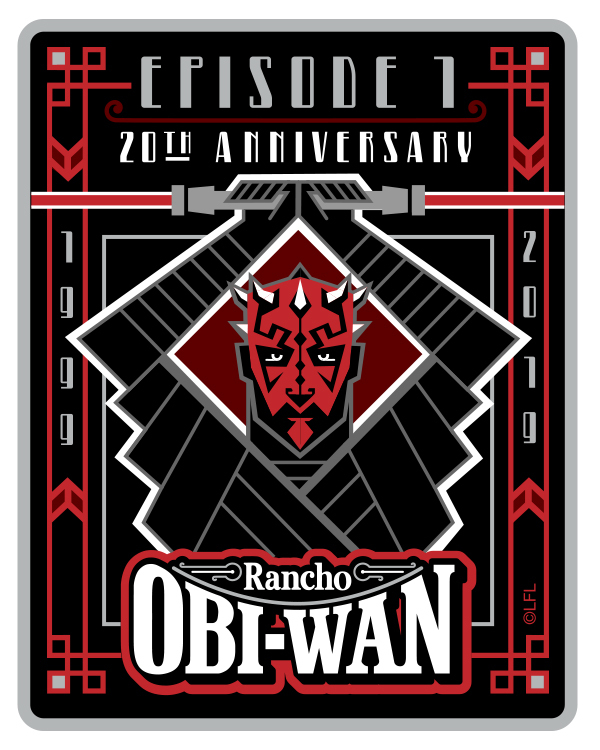 Current supporting Members of Rancho Obi-Wan are offered an exclusive patch commemorating the 20th Anniversary of Episode I and featuring Darth Maul. 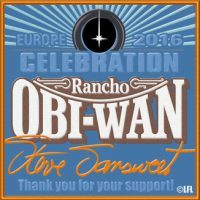 Steve Sansweet to attend Star Wars Celebration!